Steve Evans, the master quant of Paul Tudor Jones’s Greenwich fund, Tudor Management, might have invented one of the first video games ever created.According to Teri Buhl at The Connecticut Post, Evans masterminded multiple video games and sold them internationally in the early 1980s. We don’t know which ones, but he apparently created his first video game at age fourteen. 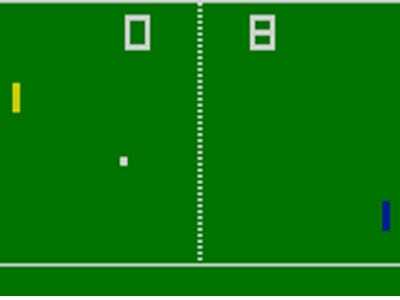 “Pong,” arguably the first video game, wasn’t invented until 1972. Household video games didn’t hit the mainstream until after 1975. So let’s try to figure out when Evans launched his first game. Evans graduated from Oxford University (earning a first degree in mathematics) in 1987. If he was around 22 in 1987, that puts him at around 17 in the early 80s. So when he was fourteen, it was the late 70s. Video games were a brand new technology. Even if Evans wasn’t exactly a pioneer, he was able to create and sell video games internationally in the early 80s and that’s awesome.